As a Political Science major it is my passion to pursue student government positions and engage myself in leading and advocating for my community. Throughout high school I served as President of my class, and as a first year college student with this experienced background I feel that it is my duty to serve my new classmates and fellow students. I wish to contribute to the excellent and warm sense of community that Butler University is so well known for. Growing older, I have come to realize that voicing the concerns of the people around me and working with others to find positive solutions is my desire in life. My greatest strength would be my ability to problem solve efficiently. I am able to not only solve academic problems and disagreements with classmates or teachers, but also work quickly and effectively to create solutions to everyday issues and financial struggles. As class President I worked closely with my high school’s principal to correct any wrongdoings or unacceptable behavior from students and teachers. I also helped to raise funds and use the money collected wisely to benefit all members of my class. If elected, I would work to ensure that all members of my college are receiving a fair and full education. I would stand to support my fellow students and help enforce a healthy and safe learning environment. As a senator for the College of Liberal Arts and Sciences I would grow closer to the staff and make connections with leaders in the community that can help to pursue my goals for campus, along with the goals of my fellow senators. I am interested in being a senator for my college (liberal arts and sciences). As a double major, I feel like I understand the student body in my college more effectively and would be a good representation of their voice. Being a student orientation guide was an amazing opportunity and I feel like being a senator would be motivating to get more involved on campus and get to know my fellow bulldogs more. My greatest strength is being open to suggestions and understanding under situations that test one’s patience. I think through both sides of the story and evaluate my choices before I put them into action. My main goal is to make sure the voice of the student body in the college of liberal arts and sciences is heard. They are the students that make our campus beautiful and alive. Without their voice, we as a community do not flourish. If anyone has a concern, I want to make sure their concern is heard and discussed within this body of government that is intended to serve the student body of Butler. I want to connect with my fellow colleagues to the best of my abilities. I have created several meaningful relationships with children from ISBVI through the Butler Bigs program and I hope to create those same relationships through my involvement in SGA. I have been accepted to the Morton Finney leadership program in the Diversity Center because of my dedication to serving others, being a role model, and community involvement. I want to bring those same values into SGA by being a Senator or better yet: a voice of the people. I believe SGA is the key to opening many more doors for success at Butler University. Those are my motivations for applying for this prestigious position. My greatest strength is my ability to communicate with others. I have taken 5 years of Spanish including high school and Butler University. I am fluent in 3 other languages as well: English, Hindi, and Punjabi. One of the reasons I applied to be a SOG was because I wanted to be one of the first students to communicate with our first year students. Also, I believe it is axiomatic that one’s communication skills including writing as well. Communication is my greatest strength. If I was elected, my goals would be to introduce new events for Butler students specifically in the college of LAS as well as the campus as a whole. I want to increase the funding of the college of LAS since most other colleges have been upgraded besides Gallahue hall. As a matter of fact one of the science professors had indicated to me that the date for remodeling Gallahue had been pushed back. Finally, I will try to create programs that are more than simple, ephemeral obligations for students. I would love to make sure that the students of the College of Liberal Arts and Sciences voices are heard. I am a first-year student who is still in pursuit of finding my place on campus, and here’s a shocker: a lot of other people are too! Plenty of us are still overwhelmed with this new world around us, and we only have each other to learn, prosper, and bloom in a sunshine-rich environment (this place is seriously beautiful). I’m going to be completely transparent here: I have absolutely no experience in leadership organizations. I was kind of the slacker in high school. I could barely keep up with classes, let alone be involved in something as respected as being class president or an otherwise authoritative position. Being the class-clown was really all I had going for me. Which was totally fine…if my biggest goal in life is to graduate from Ronald McDonald school with a Rudolph-worthy red nose. I soon realized that even though living life with a light heart is certainly something I treasure, sometimes there are issues and challenges that require a good deal of earnestness. I still abide by the fact that my biggest strength is my 225-pound squat; however, my ability to feel compassion and empathy for others is a very close second. I’m still figuring out how to do all the college things, but one thing I know is that if granted the opportunity to advocate for members of the student body here at Butler, I would make sure that we are all in this together. Sometimes the quietest voice in the room has the most to say, so let me help turn that whisper into a roar. How you say? Communication is the key factor here. I want everyone around me to feel one-hundred percent comfortable to say whatever is on their mind, and to know that they will not be ignored. My primary means of communication with the students would be through twitter polls and/or my campus e-mail. I feel as though both are fairly accessible to a lot of people, and tweets pretty much spread like wildfire. Of course, talking to me in person would definitely trump both of those techie, mindless millennial, waste-of-time machines…if it wasn’t for the fact that I am a mindless millennial who happens to spend an ungodly amount of time on Twitter. Moving on. Let me be your voice, and let us roar!  I would love to have something to commit to, and I would love to have a hand in improving Butler, and specifically the LAS College. My greatest strength is probably the way I reason. I don’t take things at face value and I tend to take extra time in thinking about all potential outcomes/effects. I would love to help all students in my college to feel like butler cares about them. I have talked to many LAS students who feel they are a minority in the sense that people go to butler for business or pre-Med. I would love to find ways to help the LAS community.